Starting Oct. 7 -15, Campus Recreation is offering a low, one-time fee of only $19 (regular price is $39) for their nutrition coaching program. Coordinator Meg Burnham, M.S., R.D.N., C.S.S.D. and L.D.N., is hoping the special allows more students to find out what Nutrition Coaching is all about. The special price reduction comes at a key time in the semester, where adequate sleep and nutrition are vital to students’ success with their exams. 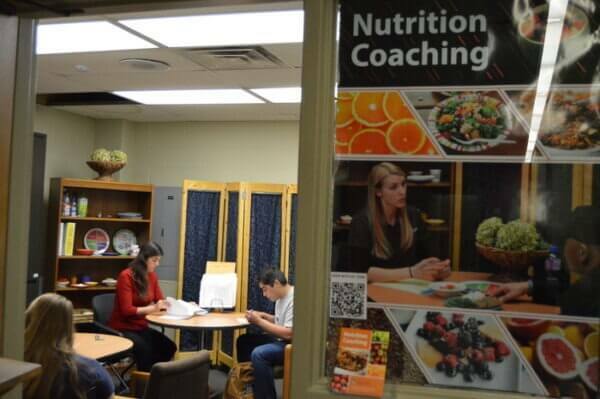 Nutrition Coaching, located in the Recreation Center, provides qualified Graduate Assistants available for one-on-one counseling at a variety of times. Visit the website to find out more, or follow this link to complete payment by October 15 go.niu.edu/42m0ri.